Are your kids scared of the hairdryer, like Leo? Do they hate having their hair dried, like Belle? Has something so mundane such as drying your hair become the biggest palava known to man?! If so, we have the answer. 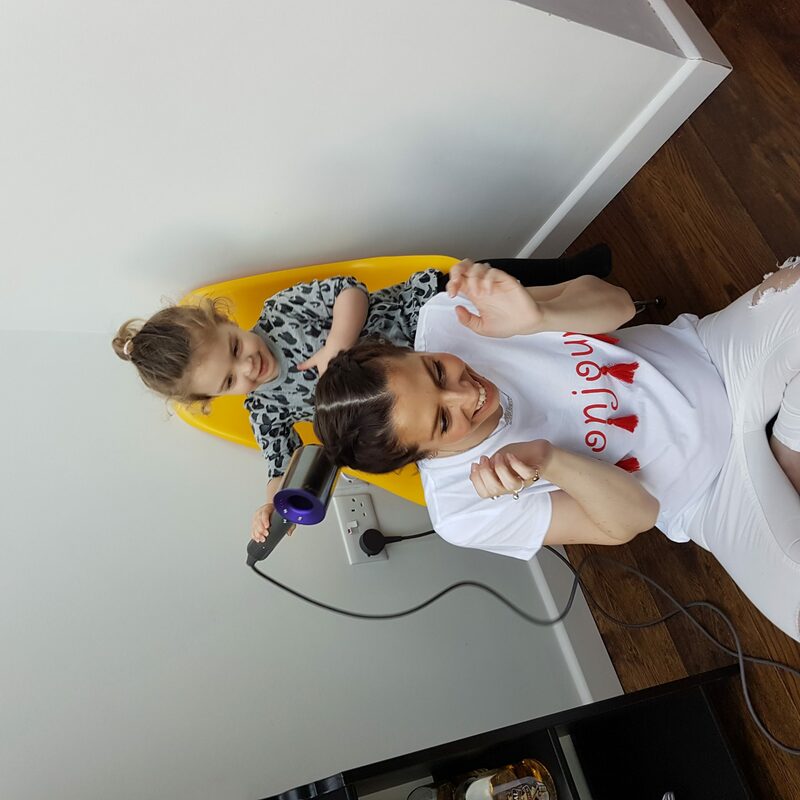 Click the link below to watch our best mum hair hack so far – the Dyson Supersonic. 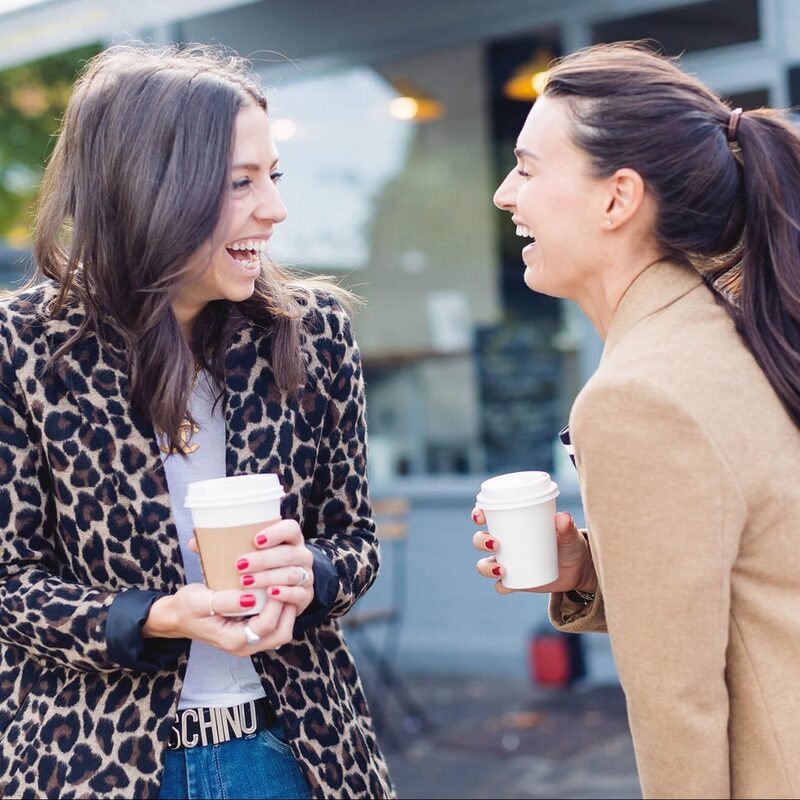 We left all the bloopers in because, y’know, we think we’re all getting a bit bored of the insta-perfect life. Let us know what you think…. IT’S QUIET. The Dyson is super quiet, but not because it isn’t powerful. It’s because the motor emits a sound at a frequency that’s inaudible to humans. Like the white noise I used to use to get Leo to sleep. And it’s light. It weighs 1.4 lbs, compared to the 3.2 lbs of my current GHD dryer. IT’S TEMPERATURE CONTROLLED. The horrors of trying to dry your childs hair are bad enough without then accidentally burning their scalps. Sensors check the heat of the air 20 times every second so that you don’t burn your/their scalp. The max heat the Dyson Supersonic airflow will reach is 100 degrees. IT’S MADE FOR POST-BABY HAIR. It comes with three magnetic nozzles – a diffuser to encourage frizz-free curls, a styling nozzle to get great volume into the roots of your hair and our favourite, a smoothing nozzle which banishes all of those awkward, sticky-uppy, post-baby hairs that no matter what, won’t lie flat. Plus it’s fast. With a Dyson Supersonic, I can get my quite thick, semi-wavy hair from sopping wet to fully dry in 10 minutes. But it’s ability to dry hair fast but without scorching heat makes it a great purchase for fragile post-baby hair. If your hair is breaking off, your hairdresser has probably told you to give it a rest with the heated appliances, but if like most of us, not drying your hair isn’t an option, this eliminates the risks of frying your hair and the fast drying time means that you won’t tug at your hair for as long whilst drying. IT’S MADE BY DYSON. And anything they make it basically a bloody genius invention that we can’t live without. End of. We know it’s a bit of a bigger purchase than we normally bring you, but ’tis the season to add it to your Christmas listand all of that jazz. The best bit is, if you buy this special QVC limited edition version (if you follow us on instagram – and obviously you do – you’ll know that QVC is our fave website at the moment – Sam was presenting on there last week!) then you can pay in instalments. Making it mega cheap. Oh, and if you’ve never shopped from QVCuk.com before, you get £5 off by using the code FIVE4YOU. Time to start dropping hints. Better yet, send your husband/mum/dad/gran this link! If we’ve sold it to you, you can shop here. Oh, and something that we learnt last week. If you’re ever on Oxford Street and have time to kill, you can book in for a FREE BLOWDRY at the Dyson store, just by booking on their website. Life changing.